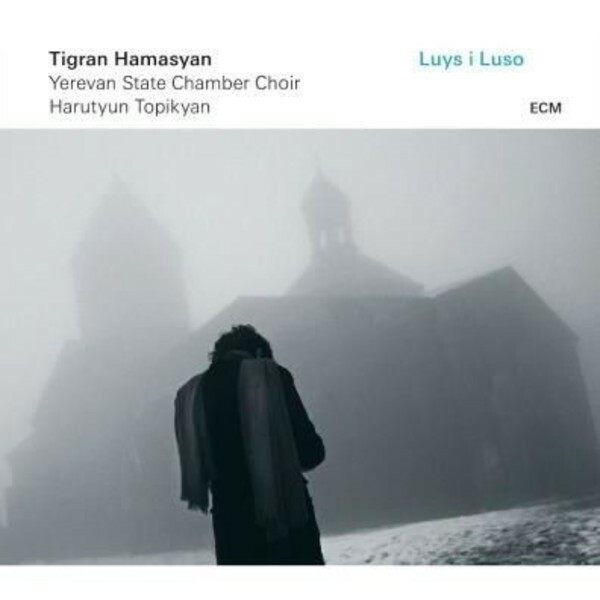 ‘Luys i Luso’ (Light from Light) is Tigran Hamasyan’s first ECM album, a spellbinding exploration of Armenian sacred music, featuring the prodigiously gifted pianist with the Yerevan State Chamber Choir. Hamasyan has selected hymns and sharakans (Armenia’s liturgical songs) as well as chants by Grigor Narekatsi, Nerses Shnorhali, Mesrop Mashtots, Mkhitar Ayrivanetsi, Grigor Pahlavuni, Komitas and Makar Yekmalyan and arranged this selection for voices and piano. This is music of the 5th to the 19th centuries, finding new and dramatic expression through Hamasyan’s improvisational imagination and the committed performances of Armenia’s leading choir. The album was recorded in Yerevan in October 2014, and produced by Manfred Eicher. In March 2015, Tigran Hamasyan and the Yerevan State Chamber Choir began an extensive tour of over 60 concerts in churches in Armenia, Georgia, Turkey, Lebanon, France, Belgium, Switzerland, Czech Republic, Britain, Ireland, Germany, Luxembourg, Russia and USA, celebrating Armenia’s rich musical heritage around the world.